Police sources said the man was summoned after a woman lodged a complaint, and when he misbehaved with the woman in front of police, the officer hit him. Hyderabad: A video purportedly showing a senior police official assaulting a man has gone viral on social media, prompting the Cyberabad police authorities here to order an inquiry. 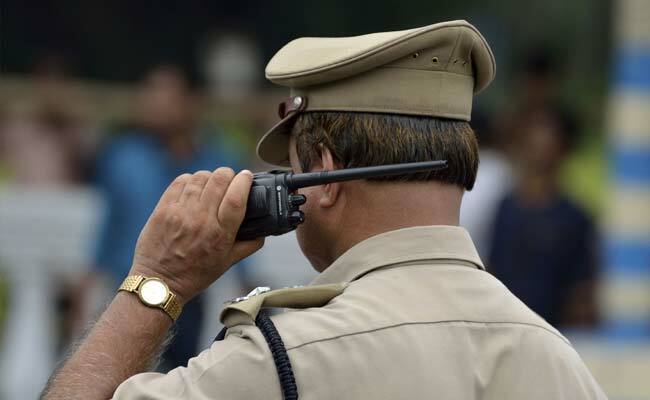 Additional Deputy Commissioner of Police (Madhapur Zone) K Ganga Reddy, who allegedly features in the video, on Sunday was transferred to the City Armed Reserve, while Police Commissioner Sandeep Shandilya ordered an inquiry into the incident. In the video, Mr Reddy is purportedly seen kicking and slapping a short-film director accused of harassing a woman actor. Police sources said the director was summoned after the woman lodged a complaint, and when he misbehaved with the woman in front of police, the officer hit him. "Who recorded the video and whether it happened at the office of the Additional DCP or outside...is a matter of enquiry. But, whatever it is, this is uncalled for," said DCP (Madhapur Zone) Vishwa Prasad. "If it is found to be true, this is very uncalled-for conduct on the part of the senior police official," he added. The Cyberabad police commissioner has ordered an inquiry and sought a report, Mr Prasad said. "Definitely it is disgraceful for police," he added. In another case, police authorities of Rachakonda area near here ordered an inquiry after a photograph purportedly showing a police official resting his foot next to a woman sitting on a cot went viral on social media. The woman was writing a complaint regarding her husband's killing, police sources said. The photograph is one-month old. Rachakonda Police Commissioner Mahesh Bhagwat ordered the inquiry after it went viral on social media yesterday, sources added. The police official, TS Uma Maheshwara Rao, attached to Jawaharnagar police station, claimed that as the plastic chair on which he was sitting was broken, he placed his foot on the cot.